Where did the time go? 2015 is already here. 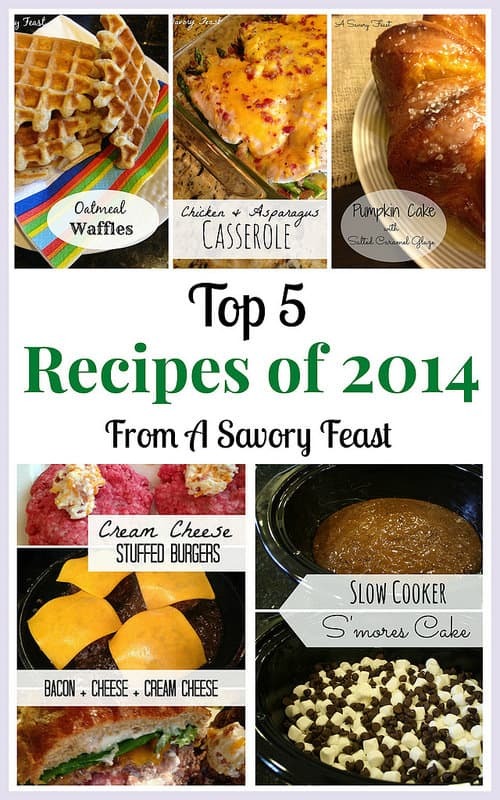 To celebrate, I am sharing my Top 5 Recipes of 2014! This was a great year for A Savory Feast. It was my first full year of blogging, and I saw so much growth and learned so much. I love going over blog stats to see my progress and learn what works and what doesn’t. Some of these posts were surprising. 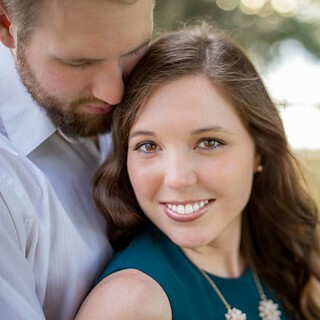 They were just recipes I threw together and decided to put on the blog. Some of them were recipes that I put a lot of work into and hoped they would do well. Was it just me, or did 2014 fly by? 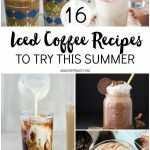 When I was putting this post together, it was crazy to see how many recipes I had created this year. 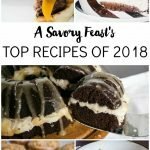 I shared over 200 posts this year, most of which were recipes. One of my favorite collaborations of 2014 was my Fall Welcome Week hosted with 18 other bloggers. We all shared our favorite Fall recipes, fashion inspiration, crafts and more to ring in the first week of Fall. 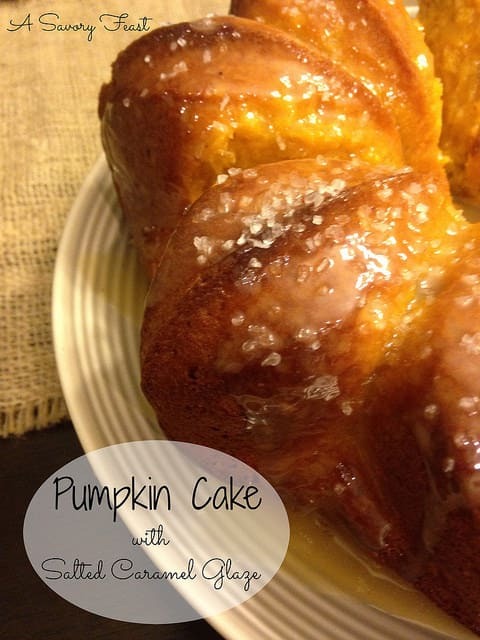 This Pumpkin Cake with Salted Caramel Glaze was one of my creations during that week. And it’s inspired by not one but two Starbucks drinks! 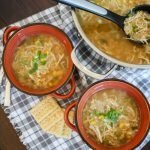 This year I got a new crock-pot and finally discovered how amazing they are! Not only can you make delicious meals on a busy day, you can also make desserts in them! This Slow Cooker S’mores Cake is so simple to make, but tastes so good. I cook with chicken several times a week, so it can get old. Fortunately, there are so many ways to mix it up and be creative. 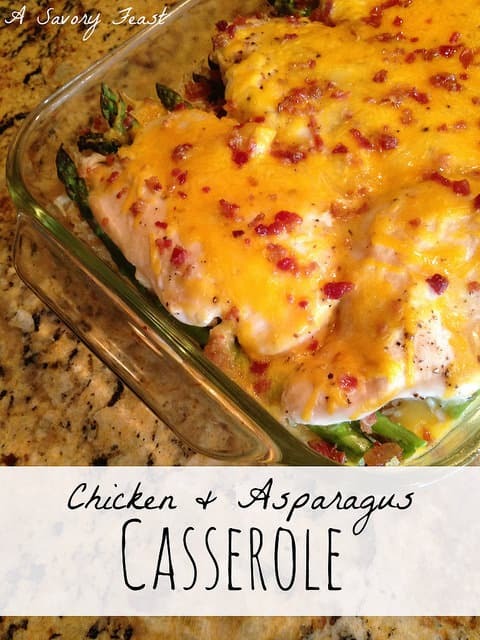 This Chicken & Asparagus Casserole was one of my favorite creations. I still don’t know why I don’t make these Oatmeal Waffles more often! When it comes to food, texture is really important to me. Almost more so than flavor! 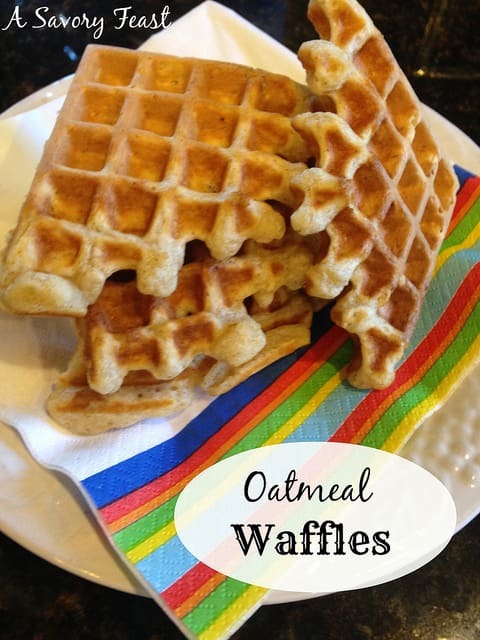 These Oatmeal Waffles have a great texture, and a hearty flavor. And here it is… the number one recipe of 2014! 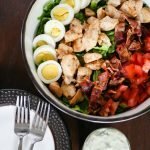 This recipe has been pinned more than 8500 times! Andrew and I created this recipe together, and it’s one of the recipes we are most proud of. 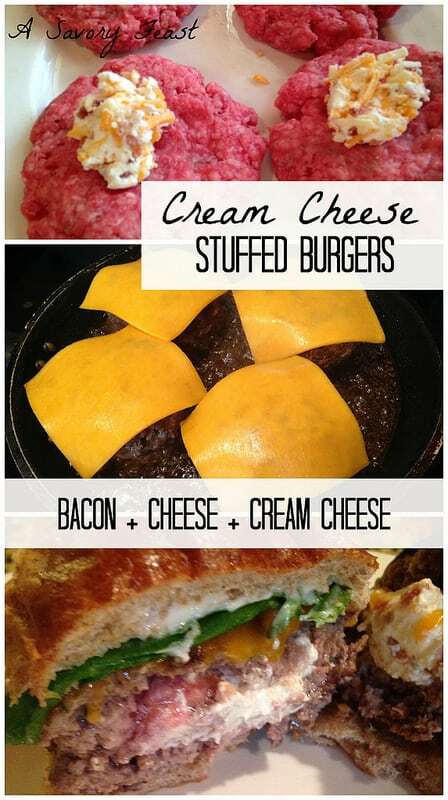 We love making stuffed burgers, but this Cream Cheese Stuffed Burger is of the greatest combination of flavors we have tried. What type of recipes do you want to see from A Savory Feast in 2015? I never would have guessed the burgers would be the top post of the year! And the slow cooker smores have been at the top of my list to try – I’m just waiting for a party where I need to bring a dessert! Isn’t that interesting? Those two posts both got their highest hits from Pinterest and had a similar style main photo (I had 3 photos in a vertical collage). I think I need to use more photos like that! Thank you, Winnie! Happy New Year to you, too. The pumpkin cake looks incredible!!! All of your recipes are so great. I’m looking forward to seeing what’s in store for you this year!! Happy new year! It was so good! I made it a few times this past Fall. Thanks, Jenna! I am excited for this new year, too.